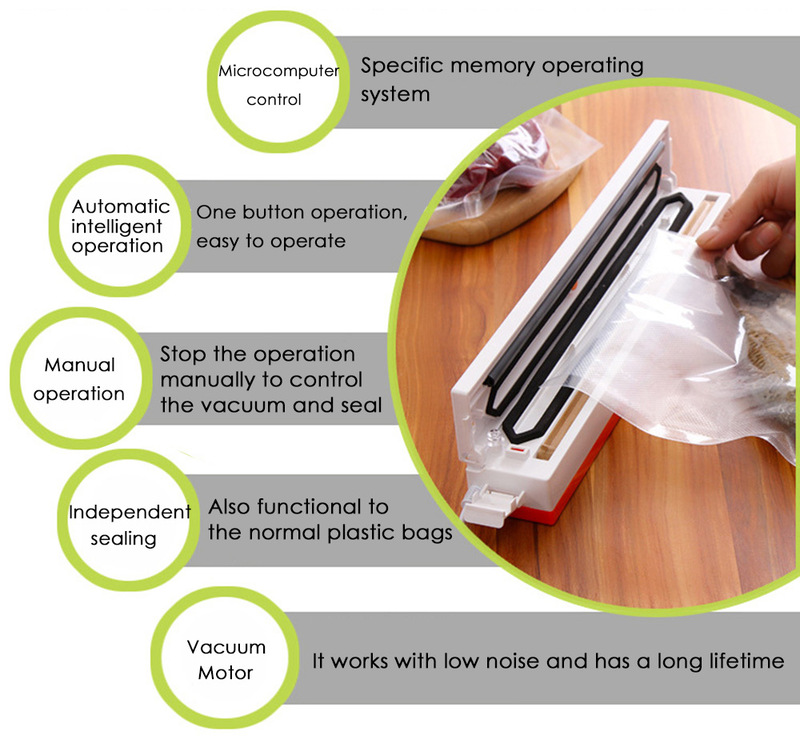 - This product is a specialized vacuum packing machine used for plastic vacuum packing and normal plastic sealing. - Suitable size, solid structure, low power consumption. - Vacuum packing using specialized plastic bags: various kinds of vegetables, meats, fish, cooked food or other household items, desert and dried food. - If you want to maintain the original state of the food but need to vacuumize, use half vacuum packing. 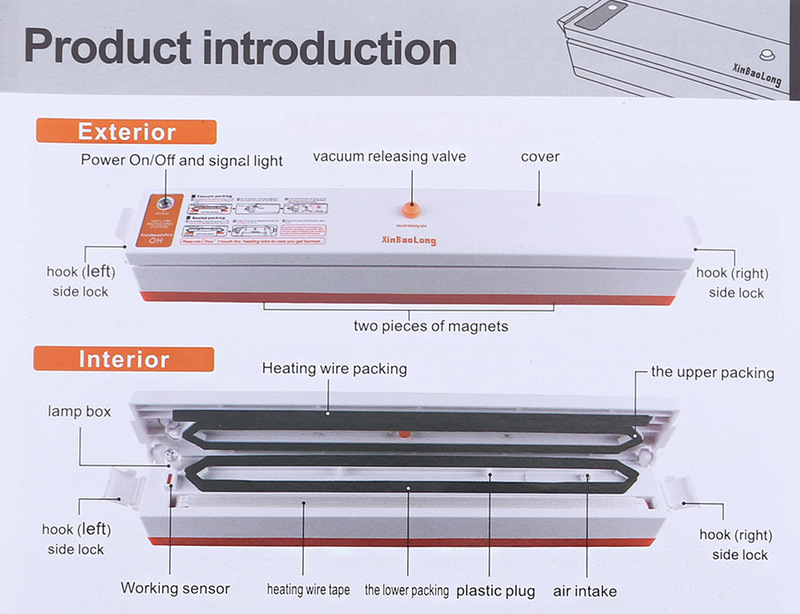 - Automatic vacuum sealing machine, one button operation, easy to operate. 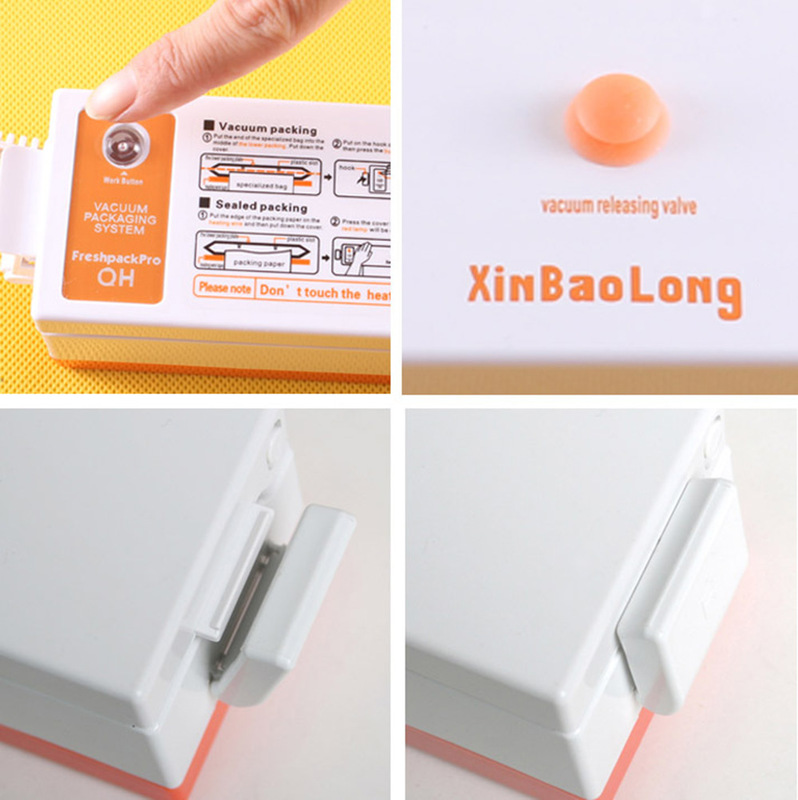 - There is a magnet on the back, can adhere to the surface of the refrigerator. 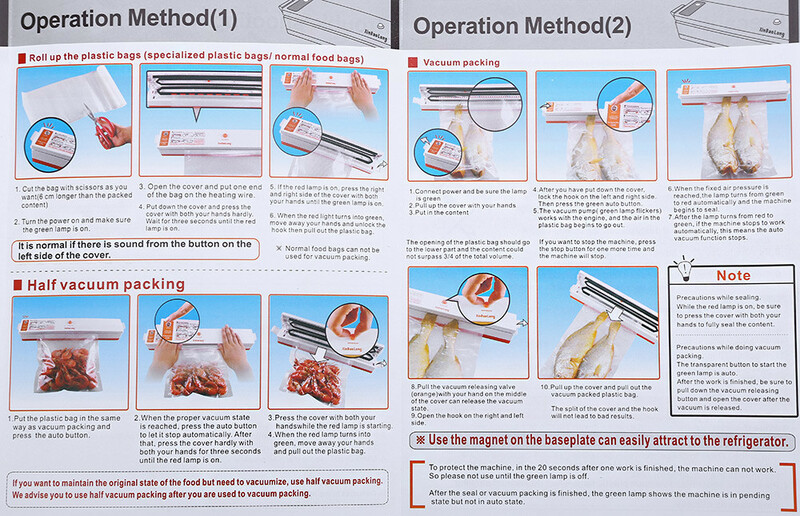 - Vacuum sealing, can lengthen the preservation time. - Fresh, anti-bacteria, moisture-proof, mold-proof, antioxidant. - Food with moisture like meat, fish, vegetables and so on, please wipe the moisture with a towel or tissues or wrap it with a disposable plastic bag before vacuumizing. - For particle food: Because the small particle can go inside the machine, please put it in plastic bags before vacuumizing. - Don't vacuumize liquid food ( soup, water ), this kind of food is only suitable for seal. - When put vacuum packed food in the microwave oven for heat, be sure to make an air hole on the bag. - When use the machine for a long time, be sure to turn off the machine for cooling before continuing to work. - You'd better split the cover and hook when store the machine.